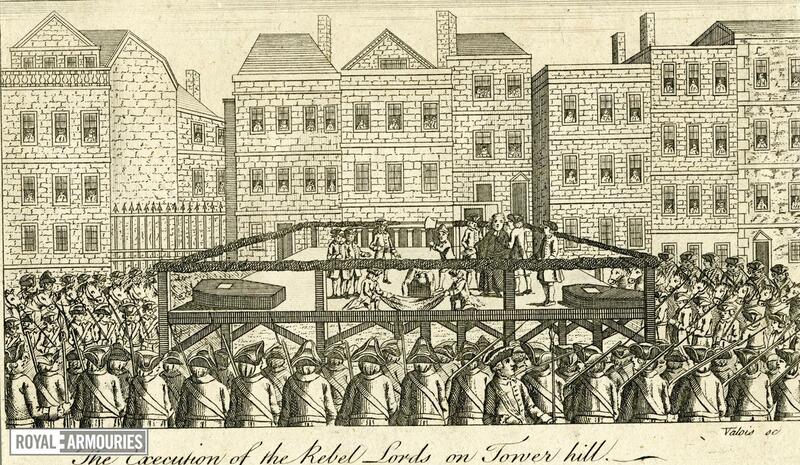 Engraving, entitled: 'The Execution of the Rebel Lords on Tower Hill'. 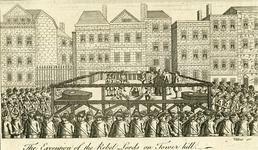 A crude engraving showing the scaffold on Tower Hill, surrounded by soldiers and the crowd: 2 men on the scaffold hold a sheet ready to receive the heads of the Scottish lords. Schematised house on Tower Hill. The Tower of London does not appear in the print. Unsigned but note 'Valois sc' (engraved).